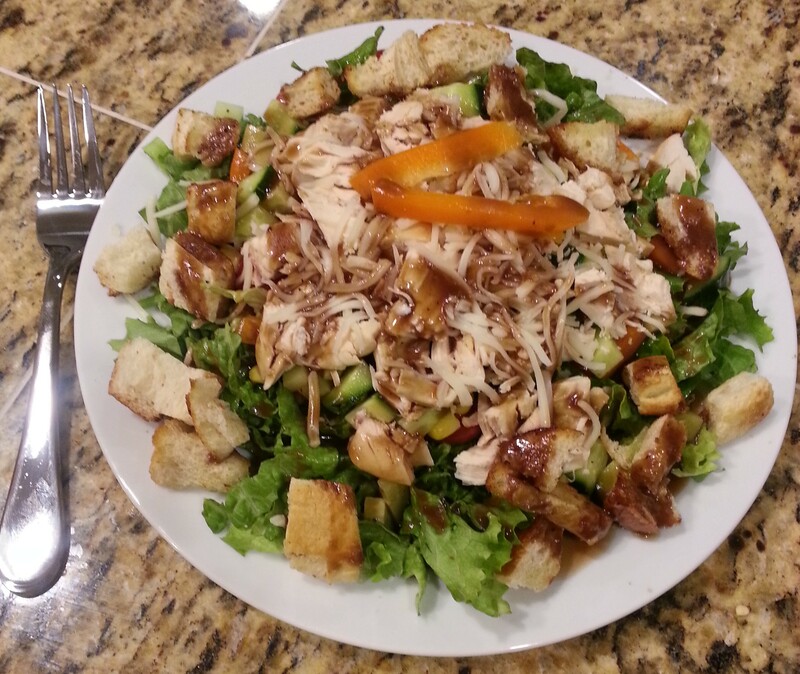 Today, I am guest posting on my friend Frances’ food blog, Forks & Corks, so check it out! 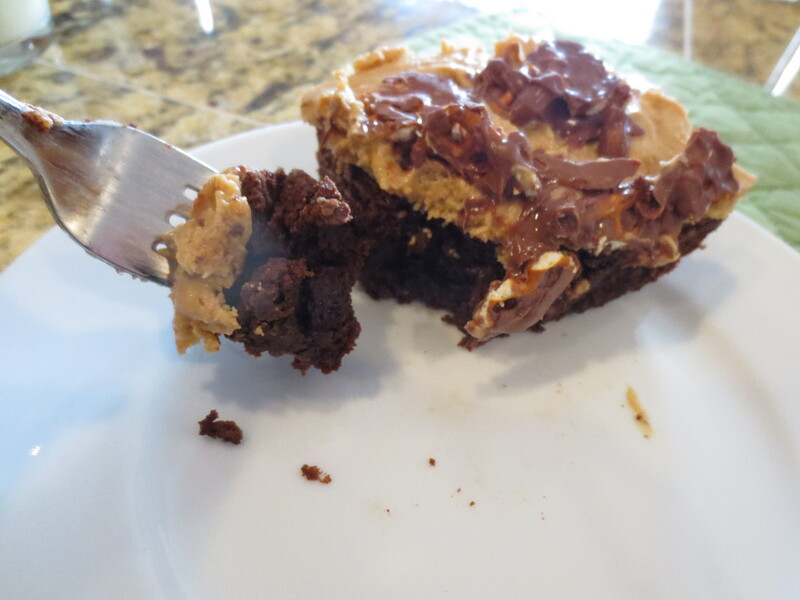 I searched high and low for the perfect recipe, and decided on a homemade brownie with peanut butter frosting, topped with milk chocolate covered pretzels that I found on a fabulous blog that I’m hooked on called Sally’s Baking Addiction! I love the sweet & salty combo, as well as anything peanut butter (Matt can definitely attest to this!). So hop on over to Frances’ blog & check out the recipe! Click here! Viva Las Vegas! 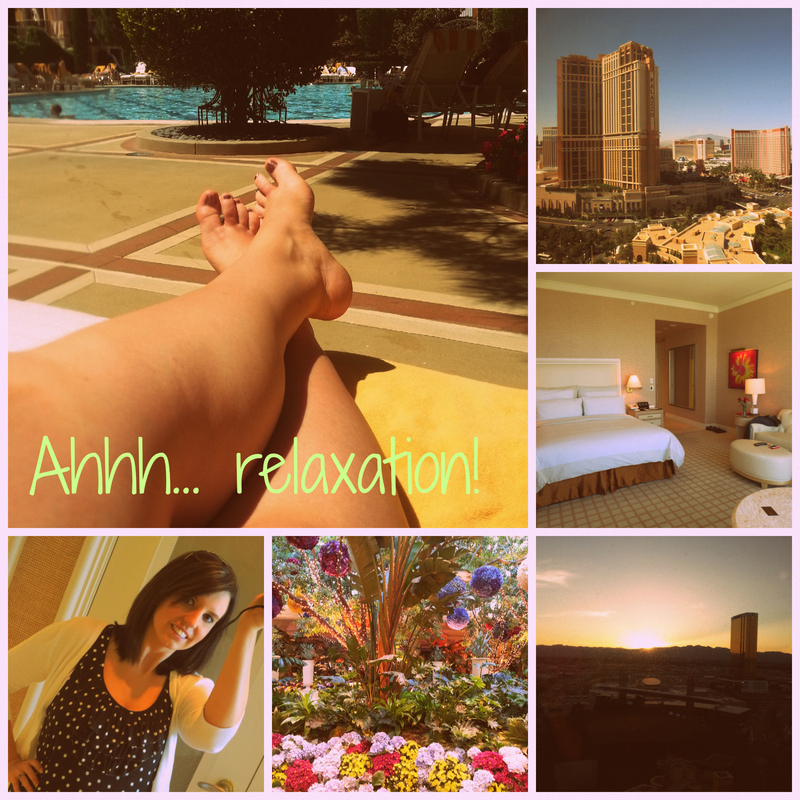 I gave a little preview of my Vegas vaca in my last post, but I thought I would share some memories and a few photos with you all today! 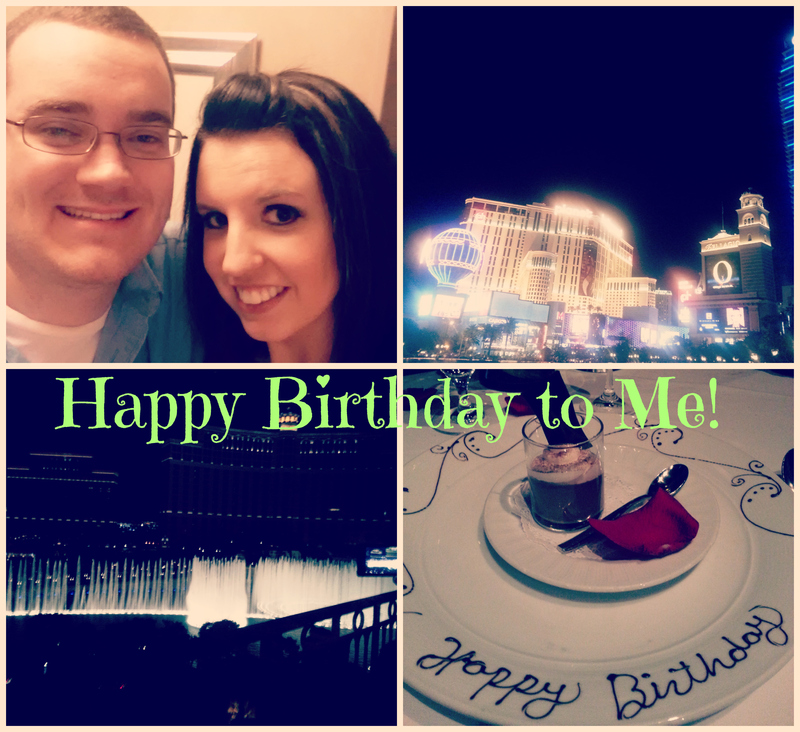 This was my first trip to Vegas, so a 30th birthday bash was definitely the best time to experience it! I’ve always been curious about Vegas, and I knew I wanted to go at some point. We drove through it twice in our “Year of Many Moves”, and it just seemed so odd to me that there was this huge city with these massive hotels in the middle of the desert. It looks out-of-place to me when you fly over or drive on the outskirts! I flew out on the morning of my actual birthday, April 11th. Matt had paid for a first class upgrade for me, which meant I got to go into the first class security line – sweet! 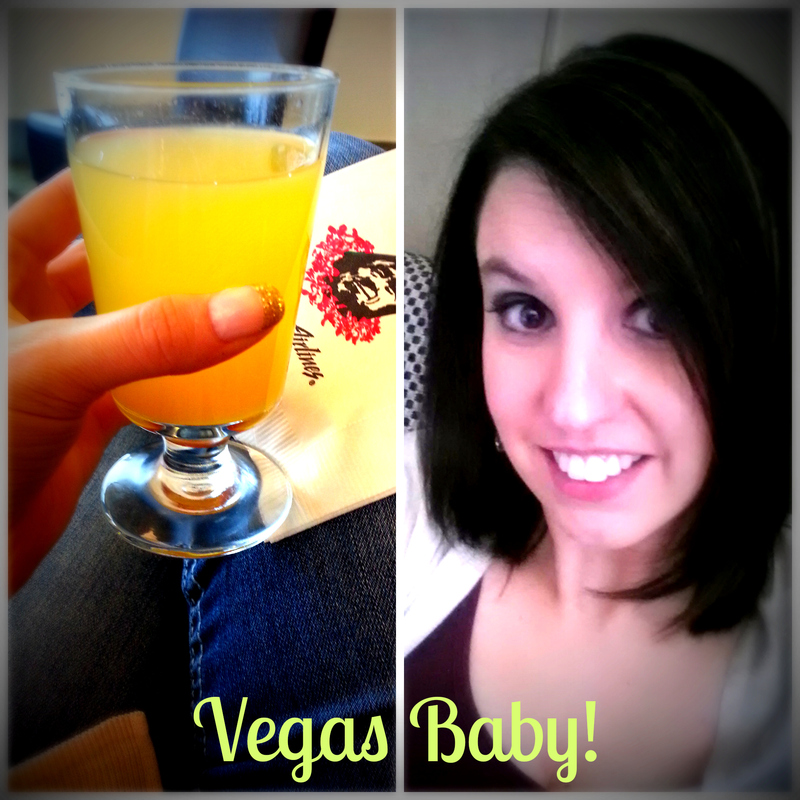 Once I got through security, I found the next perk to flying first class – the Alaska Board Room & free drinks/mimosas! They have the coolest Starbucks coffee machine in there! I made a latte, ate some breakfast and headed upstairs to find the bar! It was 5 o’clock somewhere, right?… London maybe…? The lady working the bar was so nice, and LOUDLY wished me a Happy Birthday. You know those moments where you feel like everyone in the room is looking at you? Yeah, it was one of those kinds of moments… which was fine – as most of you know I LOVE birthday attention! Since I’d only had a yogurt and coffee for breakfast, that one mimosa went straight to my head, so I decided to lay off the booze once I got on the plane (meanwhile, everyone else was getting their Vegas game face on and ordering Bloody Mary’s….). Fast forward… airport to hotel to dinner. We got dressed up and caught a cab from Treasure Island, where we were originally going to be staying, to the Paris Hotel for our romantic dinner at the Eiffel Tower Restaurant. GORGEOUS! I was just in awe of all the lights and gorgeous buildings! We got upstairs and were seated at our table. We had the BEST view, looking straight at the Bellagio fountains! (I was absolutely fascinated and obsessed… you’ll see.) Matt was looking at me funny, so I finally asked him what was going on… he asked me if I had noticed that no one else in the restaurant had roses or rose petals on their table… awww! We had a delicious dinner (Matt’s steak definitely beat my halibut), followed by my complimentary chocolate mousse dessert – so cute! Now it was time for the fun to begin! 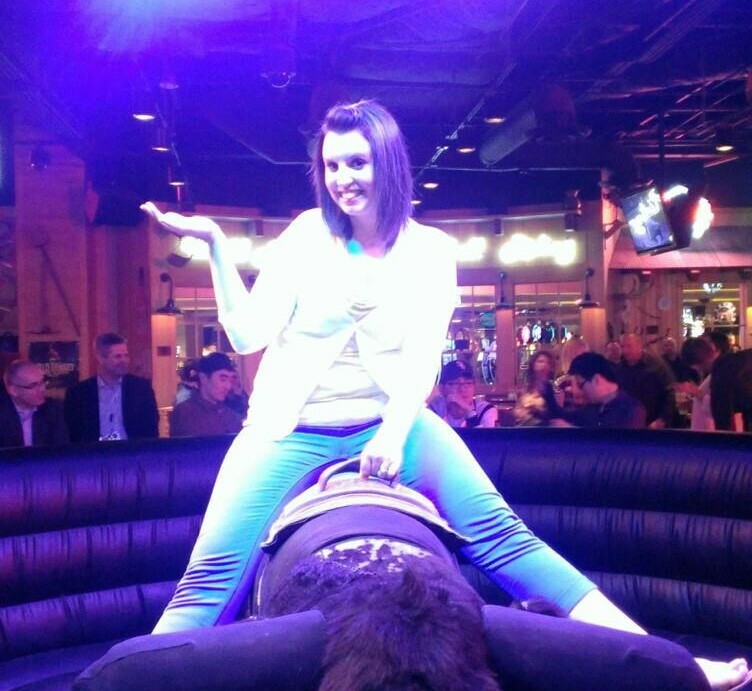 As you saw in my earlier post, I rode a mechanical bull. You only turn 30 once, right?? Now, let’s be honest here – I definitely needed liquid courage to do this, accompanied by the encouragement of 4 guys… it was a BLAST! I was beyond nervous – what if my shirt flips up? Are my underwear showing? What if I land on my face? Oh forget it, let’s do this! I didn’t last long, though… I was doing fine until it started to spin in circles… and if you remember, I had some liquid courage going into this, and I didn’t want to revisit that, plus my lovely dinner, so I bailed. After I went, most of the guys all went too – I have never laughed so hard in my life! Best birthday of my life – thank you to Matt, Dave, Hisham, & Kyle for making my 30th so memorable! The rest of the trip was relaxation, sight-seeing, and shopping! Matt’s awesome coworker, Kevin, was able to hook us up with 3 free nights at the Wynn… floor to ceiling picture windows facing the strip… fabulous! (Thank you again, Kevin!) We did a little gambling, too – I won $127 from $20! Not much, but better than nothing at all! Friday I laid by the Wynn pool, which was gorgeous, and we wandered the strip that night at ate some of the best pasta I’ve ever had at Trevi in Caesar’s Palace. 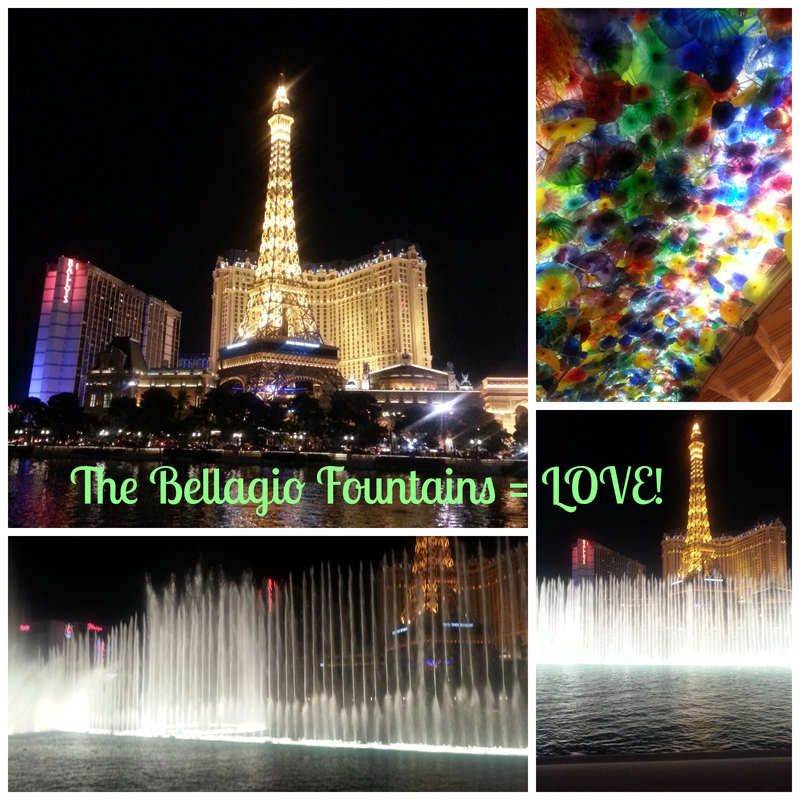 This was when I fell in love with the Bellagio fountains… I could have stood there and watched them for hours! 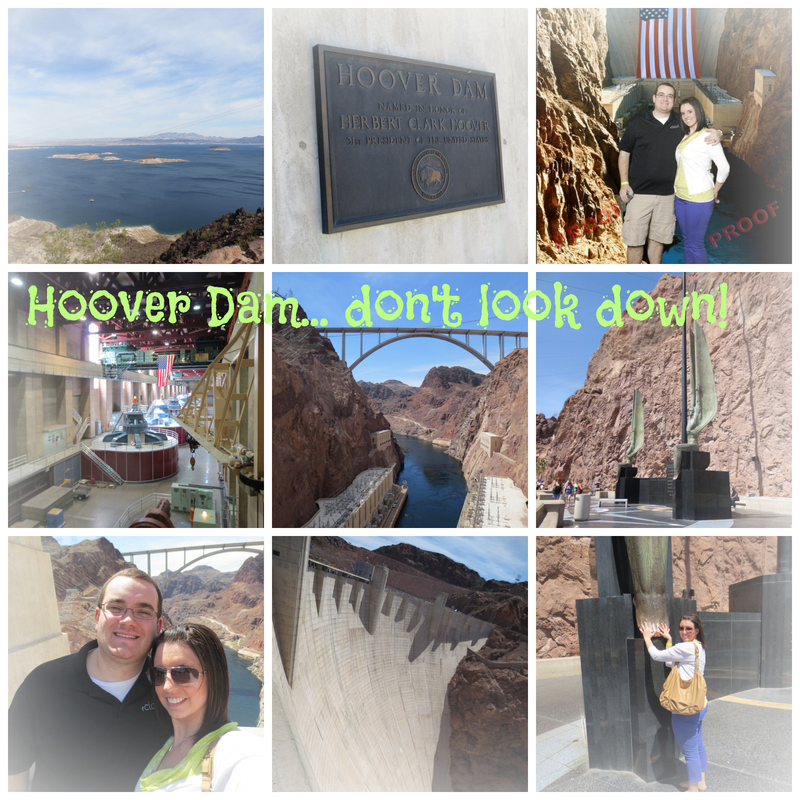 Saturday was Matt’s Hoover Dam day and my outlet mall shopping day… I will admit, I was not looking forward to Hoover Dam, but the drive was pretty and it ended up being a pretty cool experience. Saturday night we ate sushi at a yummy place in the Palazzo called SushiSamba. I know what some of you are thinking – Matt doesn’t eat sushi… True. When Matt and I first met, he was very anti-sushi. He’d had a bad experience a few years earlier, so sushi was not something he cared to eat again. However, he’d eaten at SushiSamba earlier in the week for a big work dinner, and he was hooked! YAY! (We’ve since gone to sushi back home too!) So we had a fun night of sushi and gambling… it’s amazing how fast $60 can go at a blackjack table… ouch. Hello friends & family! I know it has been a while, and I haven’t taken the time to blog, but I really want to get back into the swing of things! Blogging is so much fun for me, but I didn’t want to be overwhelmed. Sometimes life just seemed too busy, and I couldn’t imagine trying to add blogging into the mix of school, working full-time, commuting, maintaining the house, spending time with Matt when he’s home, etc. But now is the time to get back into it… I just recently finished my Associate’s Degree program AND turned the big 3-0, so I’m on to the next chapter! Time to bring blogging into the next chapter with me! As I mentioned earlier, I just turned 30… yeeps. I’ve been going back and forth between being ok with it and feeling anxious, and my wonderful husband was sweet enough to fly me to Vegas to celebrate! (A little back story for ya… he’s been out of town for work for the last 2 of my birthdays and this would have been the 3rd one in a row since he was already in Vegas for a trade show… good call on the Vegas trip, babe 😉 ) We had a blast, and it was definitely the BEST birthday I’ve ever had… fabulous dinner at the Eiffel Tower Restaurant at the Paris Hotel, followed by drinks with Matt’s fantastic coworkers at Gilley’s Saloon in Treasure Island. This is where I may or may not have ridden a mechanical bull… and there is definitely NOT photographic or video evidence! When Matt is out of town, which can be quite often some months, I’m not always the most creative or adventurous when it comes to making myself dinner. I tend to fall back on the old stand-by of something frozen or premade, which some of you know is SO not like me. Sometimes it seems so tough (and boring) to cook for one person and not end up with leftovers for years afterward, and I am horrible about eating leftovers. Tonight was definitely different! 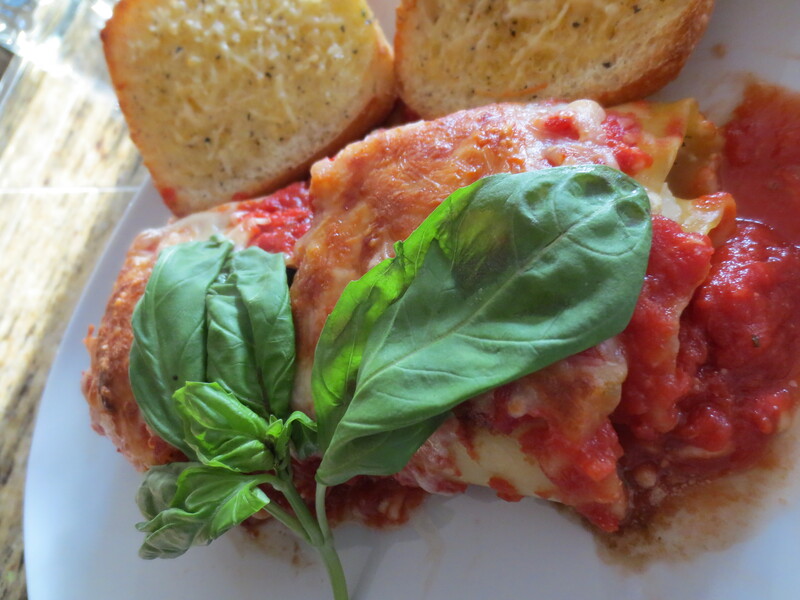 I found a recipe earlier for Caprese Lasagna Roll Ups and I knew that was going to be my dinner! I love Caprese anything – salads, sandwiches, pasta – so I knew this would be delish (in fact, I’m making my version of a Caprese grilled cheese on a ciabatta roll for dinner tomorrow). It was pretty easy, and healthier than one might think since I used fat-free ricotta, low-fat mozzarella, and added thinly sliced zucchini. Preheat your oven to 350 degrees. Cook your lasagna noodles as directed by the packaging to al dente. 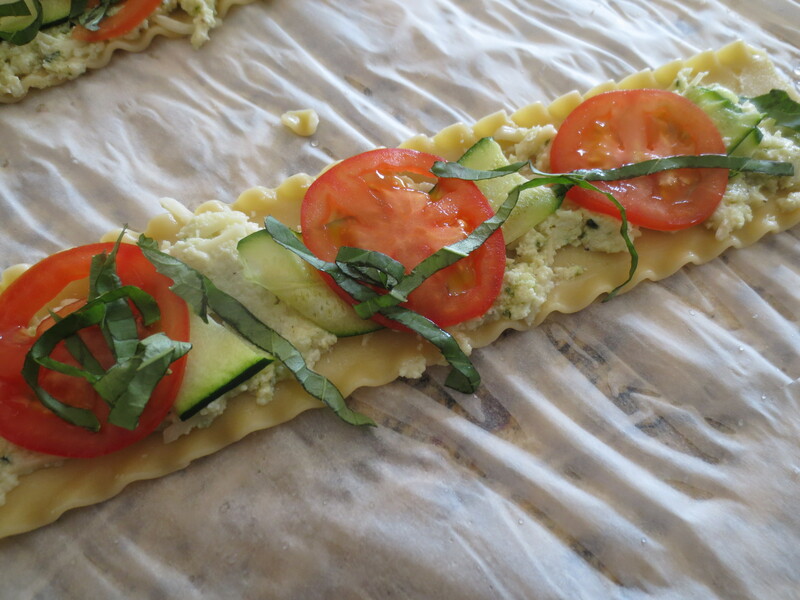 Line cooked, cooled noodles in a single layer on a sheet of parchment or wax paper. Pour 1/4 cup of the marinara in your cooking pan (a large glass baking dish). In a medium-sized bowl, mix the ricotta and egg white together until blended. Stir in half of the Parmesan cheese and 6 ounces of the mozzarella and season with the black pepper to taste (I also added some of the premade pesto sauce I had in the freezer for that extra basil kick, but I absolutely love basil/pesto!). Spread 1/4 cup of the cheese mixture on each one of the noodles, followed by the zucchini (if you used it), then the tomato slices, followed by the basil. I only used 3 tomato slices per noodle, which seemed to be enough for me (aren’t they so pretty??). Roll the noodles up and place into your marinara sauced pan, seam side down. Pour the remaining marinara sauce over each of the roll ups evenly, making sure the edges are coated so they don’t dry out when baking. Sprinkle the remaining mozzarella and Parmesan cheeses over the top and bake for 30-40 minutes, or until the cheese is bubbly and lightly browned. Yum! I hope you all enjoy this dish as much as I did (and will for the next few days… I’m excited for these leftovers!). I think next time, to stick to the Caprese idea, I might make a balsamic vinegar reduction to lightly drizzle over it. 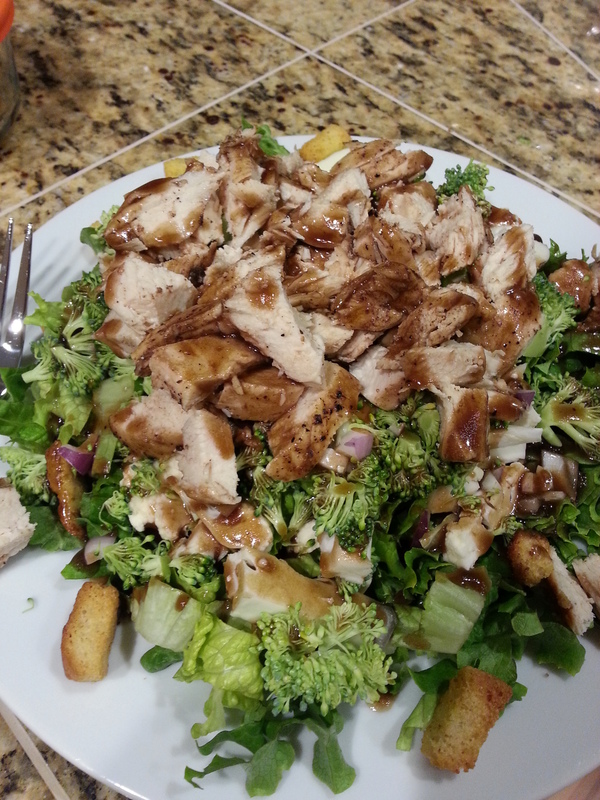 It is very yummy on its own, but I think the reduction could really tie everything together. I’d also recommend seasoning your zucchini before you add the tomato and basil and roll the little yummies up – it was a little bland in that area for me.